Workshop showing how to come close to a given sound taken from classical music. This is the recording we want to simulate. 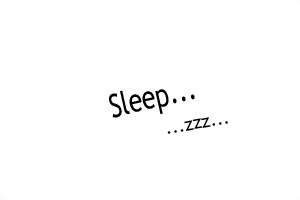 For copyright reasons, we present here only a short excerpt which is enough for our purpose. 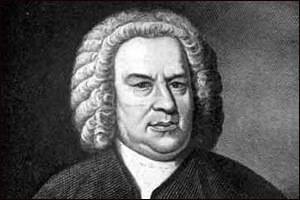 It is the Aria of Bach's Goldberg variations as recorded by Glenn Gould on a Yamaha grand piano in 1981. The first thing to do is to select the preset that will serve as starting point. 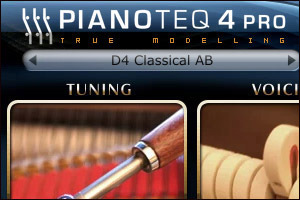 We choose here the D4 Classical AB preset. Although the D4 is based on a Steinway D, the versatility of Pianoteq allows to come close to the target sound as we show it now. We start with microphone position. It will be easier to work on the other features if this has come already close to the sound we want to obtain. 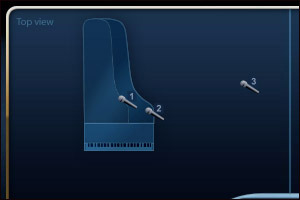 The original soundscape shows a rather close image combined with some room presence, so we choose here to place two microphones above the soundboard and a third one outisde the piano. Very closely related to the microphone position is the reverberation which we choose to adjust at the beginning also, for the same reason as the microphone position. 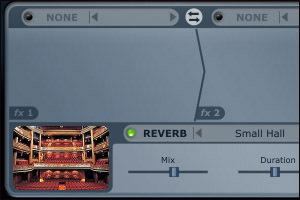 We go for Small Hall reverb with duration 1.8 sec, and pre-delay 0.06 sec for clarity. It would be time now to adjust two other important global settings, the equalizer and the hammer hardness. As they seem OK, we actually do nothing here and have a little rest. 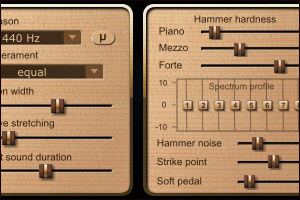 We slightly increase the unison detuning and add some hammer noise by gently pushing the corresponding sliders to the right. 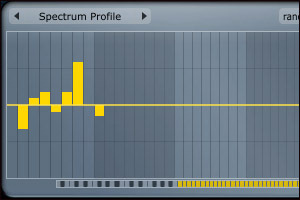 We also reduce a little the direct sound duration in the middle range (G2 to G3). 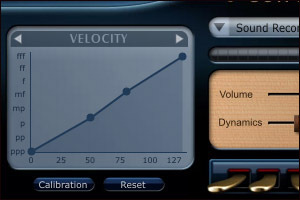 We can now leave the global settings and work on the final voicing by adjusting the overtones, and eventually the volume, of each note. That can take a certain time, depending on how close we want to get.